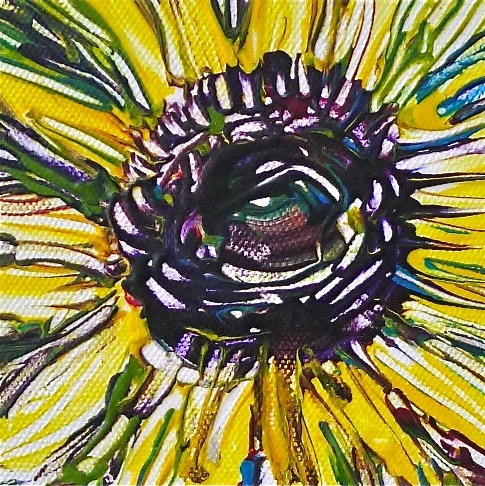 This is my favorite small painting in my sunflowers series. 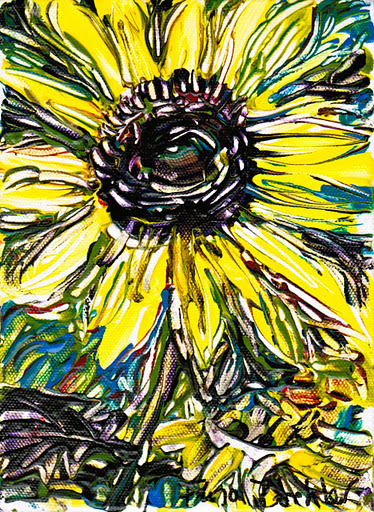 Sunflowers are so cheerful looking and their energy truly radiates. I knew when we moved here that they would be part of my vegetable garden, but I wasn’t counting on the birds to do the planting for me! This past summer was our second year of gardening in this location. (Read our other blog “Our Bear River Adventure” for the saga of moving to Bear River and finding our dream-come-true house.) Last spring as I was preparing the beds for planting, I noticed little sunflower seedlings sprouting up. I had left the previous year’s sunflowers standing in the ground so the birds could finish off the seeds. 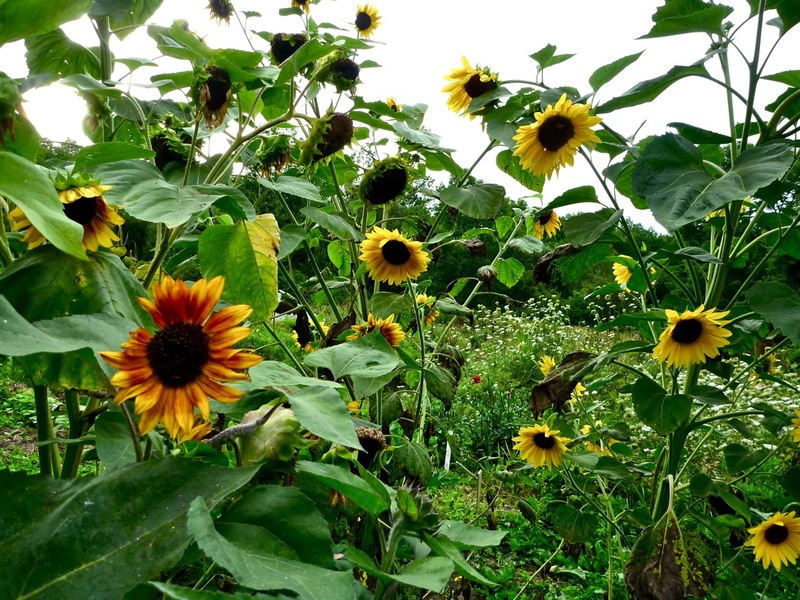 A few of those seeds wintered over and the resulting sunflowers were either 15 feet tall, or short and squat with multiple flowers on them….they didn’t look like the parent plants. Maybe some bird seed got into the mix too? 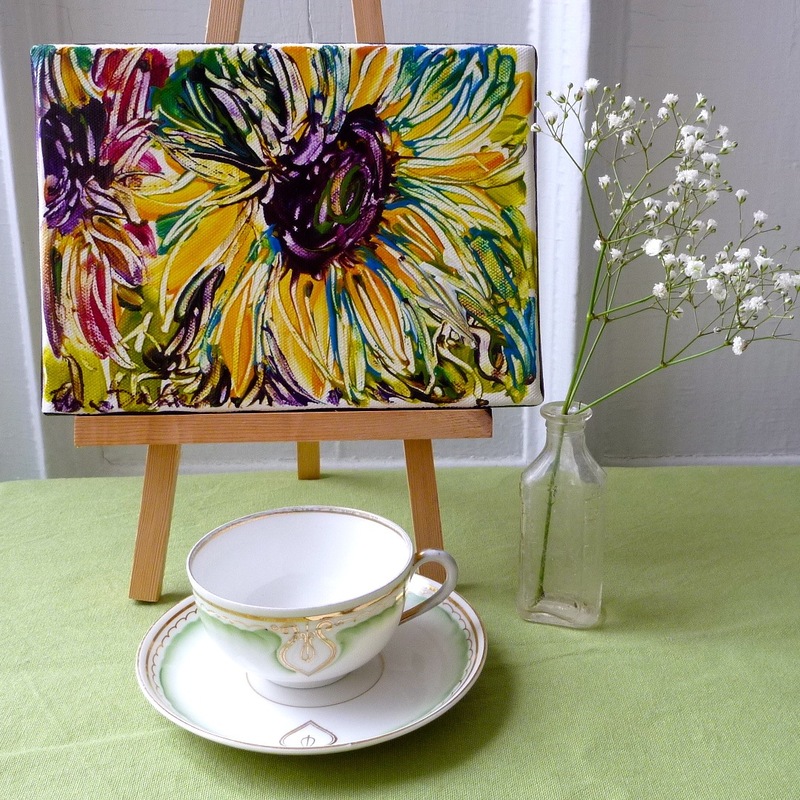 When they were at their peak last summer, I brought some into the studio to paint. 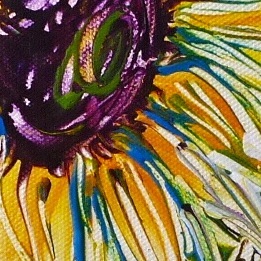 Detail of Sunflower painting on canvas by Flora Doehler. I painted these on canvas using Golden fluid acrylics and matte medium. 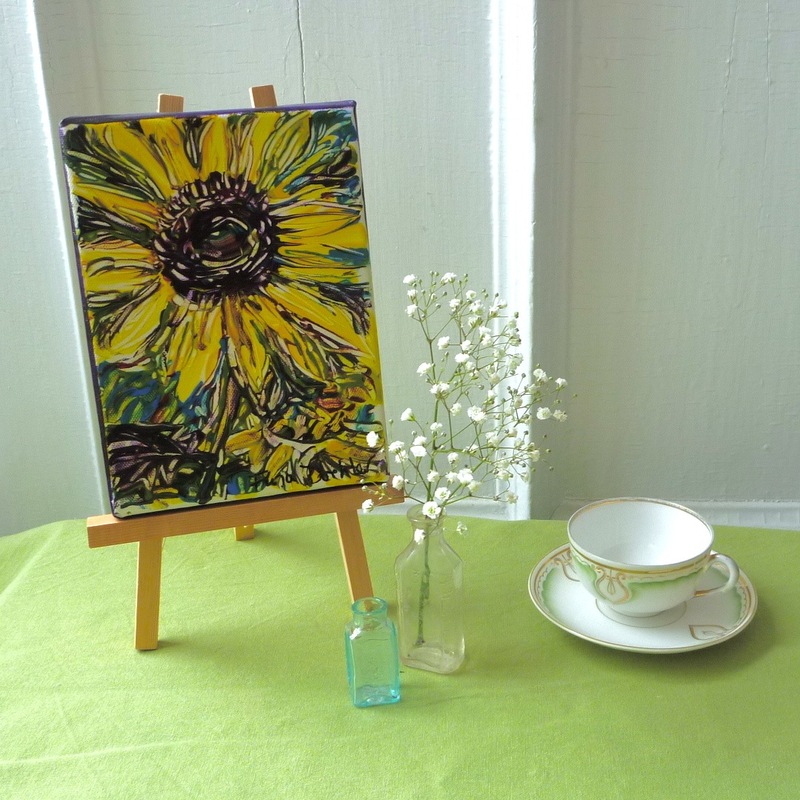 I paint with brushes and I use a scraping method called sgraffito. “Reaching”. Acrylic on canvas by Flora Doehler.